Michael J. Altman received his Ph.D. in American Religious Cultures from Emory University. His areas of interest are American religious history, colonialism, theory and method in the study of religion, and Asian religions in American culture. Trained in the field of American religious cultures, he is interested in the ways religion is constructed through difference, conflict, and contact. Dr. Altman is the author of Heathen, Hindoo, Hindu: American Representations of India, 1721-1893 (Oxford, 2017). Today, there are more than two million Hindus in America. But before the twentieth century, Hinduism was unknown in the United States. 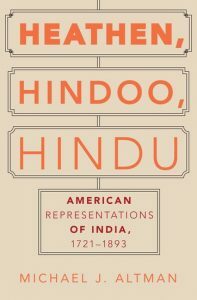 But while Americans did not write about “Hinduism,” they speculated at length about “heathenism,” “the religion of the Hindoos,” and “Brahmanism.” In Heathen, Hindoo, Hindu, Dr. Altman argues that this is not a mere sematic distinction-a case of more politically correct terminology being accepted over time-but a way that Americans worked out their own identities. American representations of India said more about Americans than about Hindus. 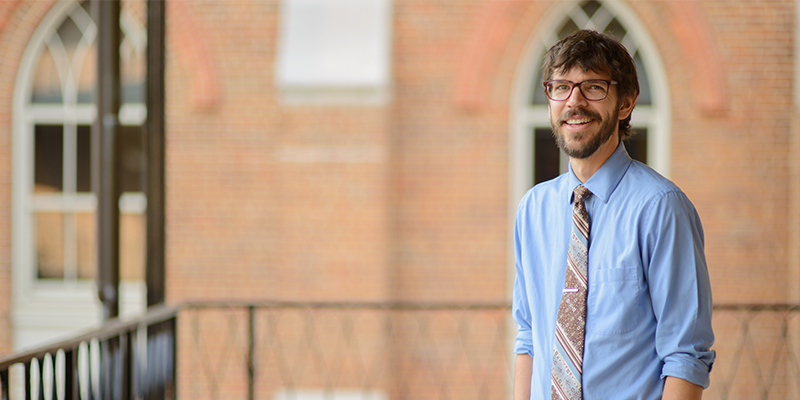 For his next book length project, Dr. Altman is researching the use of American history in the formation of evangelical Protestant identities and communities. Along with his research, Dr. Altman teaches a range of classes in the department from REL 130: Religion, Politics, and Law to REL 450: Religion and Power in Colonial India. His courses are notable for their use of digital projects such as course blogs (for examples, see American Religion in America and Monks and Nones.) He is also the producer and host of the REL Department podcast, Study Religion and manages the various REL Department social media accounts. Check out his other A Good Book episode. See his ar·ti·facts episodes part one and two. What’s the Backstory on Prof. Altman…?